Atari Announces $250 Ataribox For 2018, Which Seems Very Pricey For A Retro Console | OhGizmo! By Randy Donack on 10/03/17 • Leave a comment! Atari may be jumping on the retro games bandwagon that has given Nintendo tremendous success through the past year with their NES Classic and their, just released, SNES Classic. The company is announcing details about their upcoming product, the Ataribox. It seems like a terrific idea, throw some old school Atari games on a retro console, update the graphics, and don’t forget the wood accents. 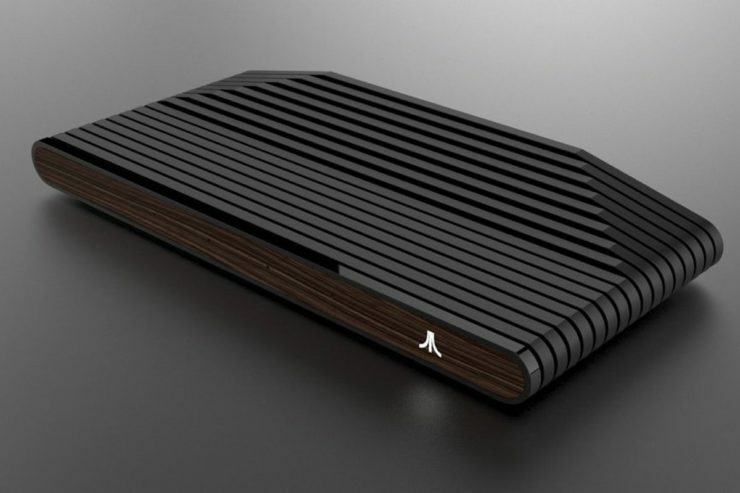 The Ataribox hopes to play more than just old school Pitfall and Space Invaders though, as the console will be powered by an AMD processor and will be able to play more modern independent games. Think games like Minecraft, instead of Overwatch and Call of Duty. Atari has also announced that the console will go on sale for around $250-300. That seems steep, like, super steep, especially considering that it could cost as much as an off-the-shelf Nintendo Switch. This, along with hardware that might very well limit its supposed modern game library to cheap games that are little more than iOS App Store clones, means that the Ataribox could very well end up being little more than the 2018’s version of the overhyped, underpowered, OUYA. I’d certainly buy an all-in-one Atari console, but only if its price were more reasonable, like the NES Classic at $60. Maybe I’m wrong and the Ataribox will be worth every penny of its price, but it seems like Atari doesn’t know if they want to make a retro console or a modern console, and what we might be stuck with is some muddled mess, stuck somewhere in the middle, that’ll be collecting dust on clearance shelves by the end of its first week. Wow, I’m harsh.